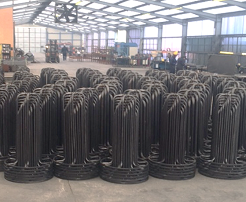 We are Europe’s largest Manufacturer of Tubular Wire Formers; our manufacturing process enables Alfa to produce virtually any specification Former required. We carry many commonly used formers ex-stock and offer the quickest turnaround time in Europe. Our facilities enable Alfa to work to exacting tolerances time after time. 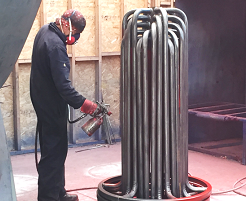 Our in house finishing spray painting workshop enables us to supply formers to your corporate or any other colour scheme you specify.